I've always enjoyed talking about my work. Being in private practice, teaching gave me an opportunity to meet and share information with colleagues, clients and the interested public. After the success of the Gilding Conservation Symposium, I spoke on many occasions. One high point was teaching at the Smithsonian Institution's Conservation Analytical Laboratory. Following several days of lectures, I demonstrated treatment techniques in their conservation workshop to an amazing group of furniture conservation students - all of whom went on to work for major museums and cultural institutions across the USA. A second extraordinary experience was arranged by my Canadian colleague, Michael Harrington. 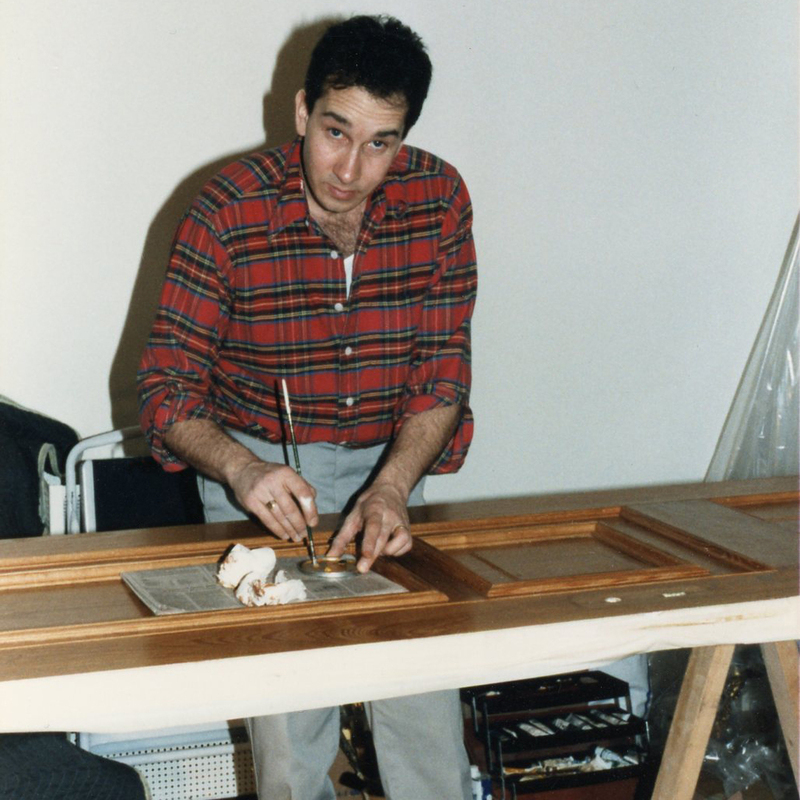 In 1994, I was awarded a fellowship by the Canadian Conservation Institute (CCI) in Ottawa, Ontario. There, I advised on gilding treatments, set up the furniture conservation lab to better conserve gilded artifacts, and worked with CCI scientists to establish a set of gold leaf standards by which the karat of a gilded work of art could be matched to currently available gold leaf. In leading one of their gilding workshops, I was joined by legendary gilding conservator, Malcolm Green whom I had met more than a decade earlier at the Victoria & Albert Museum in London. In the photograph, Malcolm is the first person on the left.